I recently decided to go check out one of those ever-popular wine and paint events at the Tempe Center for the Arts, and while walking into the gallery where the paint class took place, I noticed something that piqued my interest in the lobby. There was a really good crowd gathered around a little stage with guitar cases strewn everywhere. I heard music begin to play just as they shut to doors to start the paint class. While I certainly enjoyed Art After Work, I knew I had to make my way back to check out whatever was happening in the lobby. As it turns out, the event in the lobby is Walk-In Wednesday, a weekly open mic night that is one of the longest running programs at TCA. Turns out I was way out of the loop. It started way back in 2009! If you’re way out of the loop like I am, let me fill out in on what you’re missing out on. 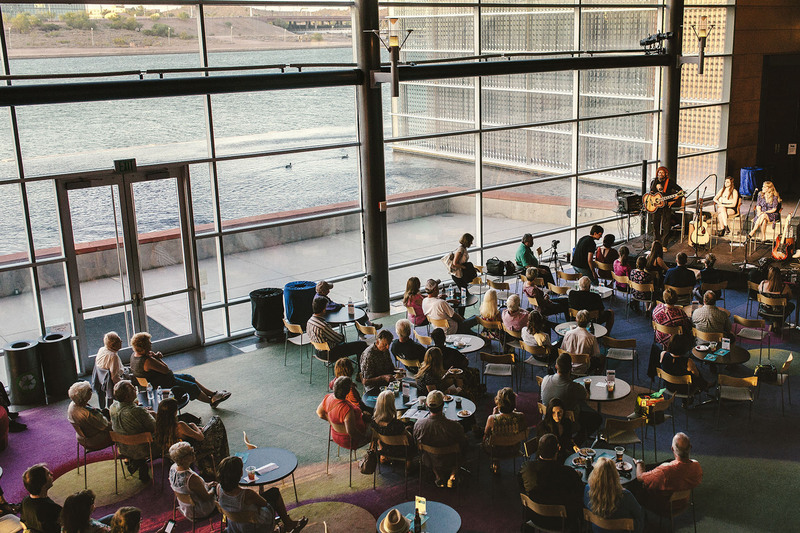 Every Wednesday from 5-10pm, the Tempe Center for the Arts opens its lobby for anyone and everyone to perform. 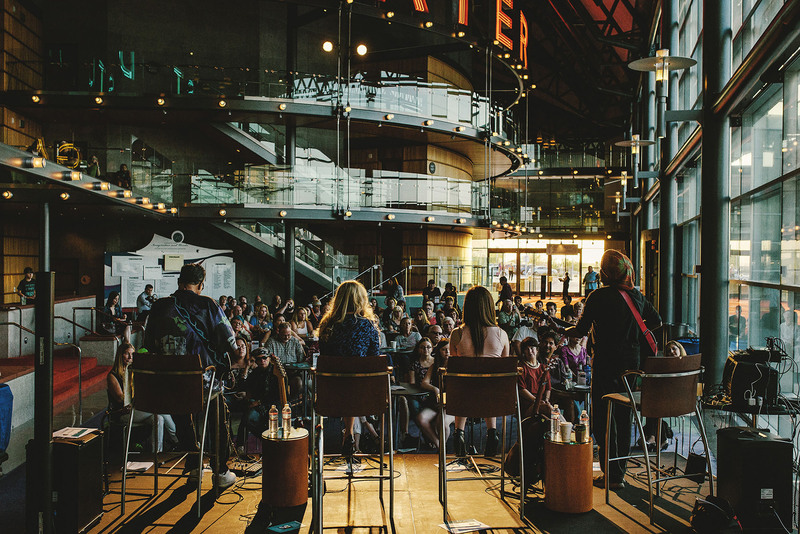 They provide the stage and allow the community to provide the music. Anyone can show up and add their name to the list of performers. I was really impressed by the array of people that performed. There was a good mix of seasoned veterans testing out new material and newbies just getting the feel for performing. In theory, Walk-In Wednesday operates exactly like any other mic night. But the surroundings and the community within it gave off a different vibe from any other open mic night I’ve seen. There were over 20 performers who signed up for a slot the night I went. Each performer had ten minutes to use however they wanted. I saw everything from singer-songwriter duos, to a full folk trio, and the smoothest beat-poet I’ve seen in a while. It’s clear that that everyone who participates has the similar goal of honing their craft. It would be remiss to not point out where this uber-supportive environment must have originated from. 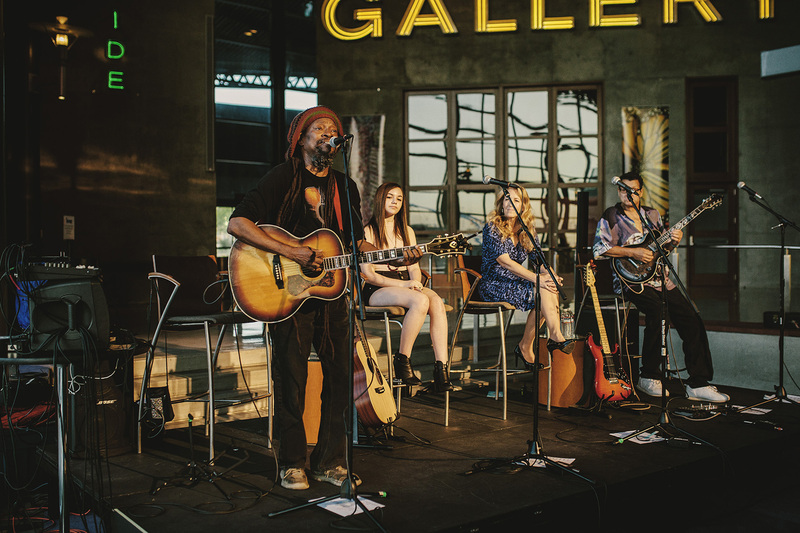 Walt Richardson, Tempe music legend, has hosted Walk-In Wednesday from the very beginning. He sets the tone for each Wednesday by playing one of his own songs. After that, he serves the Walk-In Wednesday MC giving everyone a warm welcome as they come to the stage. I recommend checking out Walk-In Wednesday ASAP. I really think anyone who likes live, local music should. The weekly event just started back up again for the fall, running September - November. 5-6 pm for youth/high school and younger and 6-10 pm for all performers. 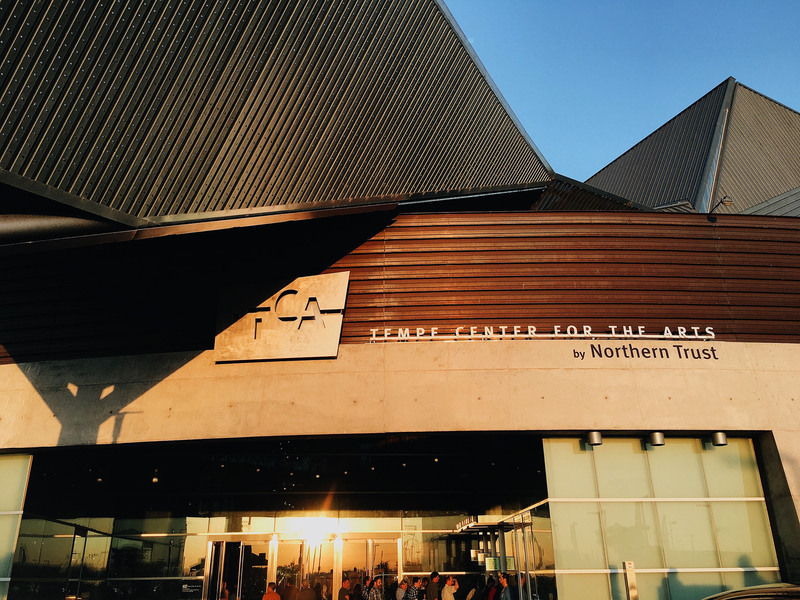 Let us know if you make it out to TCA to listen or take the stage by tagging your photos with #DowntownTempe !